The recently-completed series against Australia was India’s last ODI assignment before the 2019 World Cup. India lost the series 2-3 and, suddenly, there is a whole list of questions that fans and analysts are asking regarding places and positions in the squad. 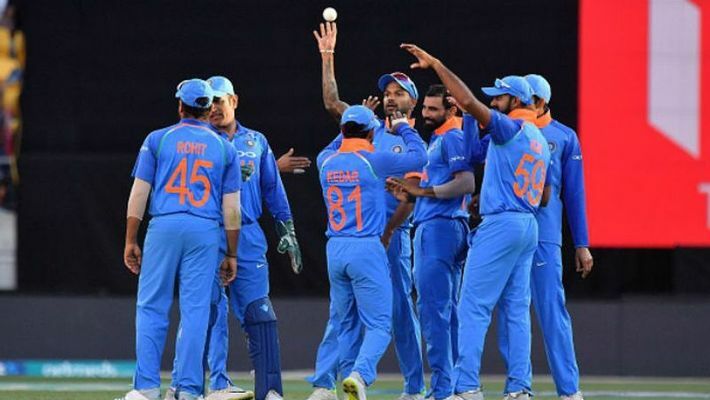 India made a lot of changes to their squad, playing eleven and combinations throughout the series and it would be fair to say that those changes have confused the situation even more. After Ambati Rayudu’s poor show in the series, India tried to experiment with KL Rahul and Virat Kohli. They also pushed young Vijay Shankar up the order. But, the majority of their experiments fell flat. One of the major decisions was to drop Dinesh Karthik, who has been doing well for India in limited-overs cricket of late, and replace him by young Rishabh Pant, who is a promising young talent but has very little experience in ODI cricket. This decision turned out to be an eye-opener of sorts as Pant’s skills behind the stumps fell way short of expectation and now it is almost certain that he can’t be India’s second-choice wicketkeeper, after MS Dhoni in the World Cup. Pant’s poor show in the series has opened the gates once again for Karthik, and in all likeliness, the Indian selectors will bring him back in the squad for the World Cup. The Indian think tank is surely introspecting after the series defeat to Australia and players who didn’t do well might be dropped because the Indian captain Kohli has already said that performances in the Indian Premier League will have no impact on the selection of the World Cup squad. There is no debate regarding the opening combination as Rohit and Dhawan’s duo is tried and tested, especially in English conditions. Dhawan settled all doubts and concerns regarding his form by a hitting a ‘daddy hundred’ in the penultimate match of the series. He scored 143 runs off just 115 balls, smashing 18 boundaries and three sixes. However, he will have to improve his shot-selection and score runs more consistently, as the first 10 overs are, mostly, very important in English conditions. Rohit is arguably the best opener in limited-overs cricket and his ability to score massive hundreds and double hundreds makes him the ‘X-factor’ player for India in the World Cup. Against Australia, Rohit scored 202 runs in five matches at an average of 40.40. His form at the top of the order will be a crucial factor as far as India’s chances in the tournament are concerned. Kohli is not just India’s best number three, but the best number 3 batsman in the world. There is no doubt that the Indian captain is the backbone of his team’s batting department and his consistency with the bat is one of the biggest reasons many believe that India are strong contenders for the World Cup trophy. Rayudu has done well for India, but struggled against the moving ball and scored just 33 runs in three ODIs in the Australia series. He is a good batsman, but his lack of experience as far as big tournaments and English conditions are concerned, can hurt India if there’s an early top-order collapse. Karthik, on the other hand, has been in good form and can bat at any place between one and seven. Kohli has said a couple of times that Rayudu is more likely to play at number four, but Karthik would be a better choice because of his experience, versatility and good form. Dhoni is the obvious first-choice wicketkeeper-batsman and the best bet for the number five position. Dhoni’s strike rate has dropped a bit in the last 18 months or so, but with his cool head and solid temperament, he can surprise oppositions in the World Cup. Dhoni’s presence at five is a huge plus for India, especially if there is a top-order collapse. The former India captain is a master when it comes to re-building innings and holding one end tight. If India opt for Karthik ahead of Rayudu, Dhoni can jump to number four if India lose two quick wickets. Jadhav played a match-winning knock of 81* in the first match of the ODI series against Australia in Hyderabad and showed the world that he is a good finisher. His unorthodox off-spin bowling is an added advantage. The Baroda all-rounder didn’t play against Australia due to an injury, but he seems to have recovered from it as he has already joined the Mumbai Indians camp and started preparing for IPL 2019. Pandya’s presence in the squad adds a lot of balance as he can bowl at any stage of the innings, and is a very destructive batsman lower down the order. Bumrah is arguably the best fast bowler in world cricket at the moment, across all three formats, and he will lead India’s bowling attack in the World Cup. Considering recent performances, Shami is just ahead of Bhuvneshwar and if India decide to play with two fast bowlers and two spinners, Shami will be preferred over Bhuvneshwar. India’s bowling combination will depend mainly on the playing and weather conditions. If pitches have grass and juice then India are likely to play with three fast bowlers and if the pitches offer assistance for spinners, Chahal and Kuldeep are likely to feature in the playing eleven.